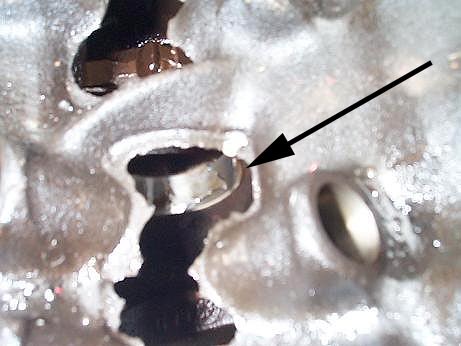 White arrow points to cam bearing with an irregular surface and some missing material. Same 455 cam bearing viewed from the back of the engine. Notice amount of missing material. Here is another bearing just in front of the previously pictured bearing. 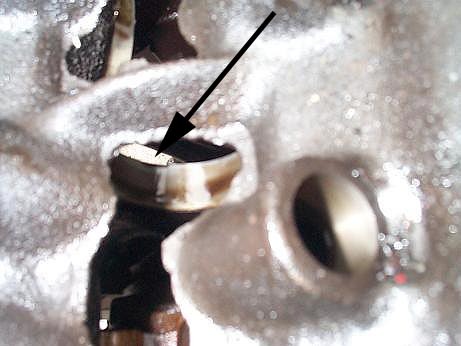 Black arrow points to missing cam bearing material. 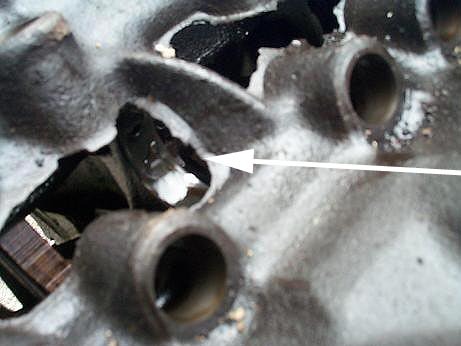 The rest of the engine was very clean and the cam was not in bad condition. Engine only had about 85-90k on it and looks like engine was run with low oil.